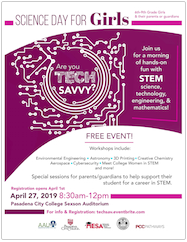 Tech Savvy is a morning conference for 6th – 9th grade girls Saturday, April 27, 2019, 8:30 a.m. – noon, at Pasadena City College Tech Savvy is a fun filled morning of hands-on workshops designed to develop girls’ interest and self-confidence in STEM (Science, Technology, Engineering and Math) disciplines. 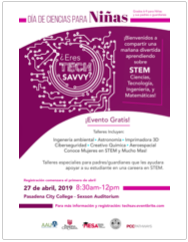 We will have an exciting program of hands-on STEM workshops. 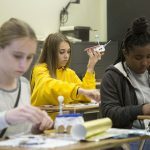 Girls attend two “tech savvy” workshops choosing from different workshops led by women working in fields as diverse as epidemiology, developmental biology, design, and space. Women presenters from many great institutions such as CalTech, California Science Center, Natural History Museum, Carnegie Observatories, and Pasadena City College do workshops like Programming Virtual Reality, Creative Chemistry, Capturing and Studying the Sun, Engineering Hydraulic Systems and many more. 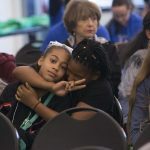 A panel discussion with all of the women STEM presenters and some women college students in STEM majors follows the hands-on STEM workshops. Special sessions for parents, guardians or teachers show them how to help girls on the path to college and a career. Adult sessions are available in English and Spanish. Parents/guardians are encouraged but not required to attend. Chaperones will be with the girls all morning. Promote the conference at your school, organization or church, or share with friends. Share our pdf flyers below which can be downloaded and sent digitally or printed, in English and Spanish versions. 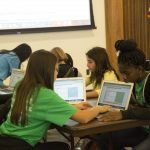 Volunteer and Support Our Tech Savvy Girls in 2019! 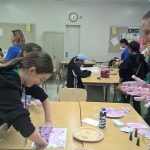 A bunch of hard-working volunteers from our AAUW branch and our various partners – Pasadena City College, Pasadena Unified, Delta Sigma Theta, Caltech, YWCA, and more make this happen each year. Via check: Make checks out to “AAUW Pasadena”, Memo: “Tech Savvy”. 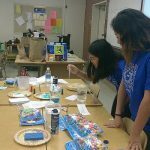 Or consider donating breakfast items, event t-shirts, goodie bags and contents, and science and math themed prizes suitable for middle school ages.